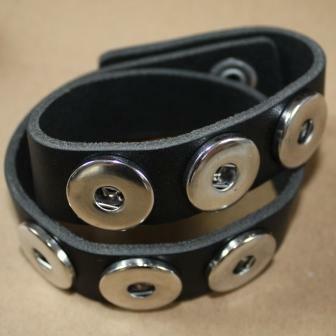 Bracelets are made from leather and have nickle free silver plated findings. Each bracelet is 2.5cm wide and can be adjusted to fit a wide range of wrist sizes. Double braclets are designed to go round your wrist twice and have space for six glass poppers. Please note that this listing is only for the bracelet.